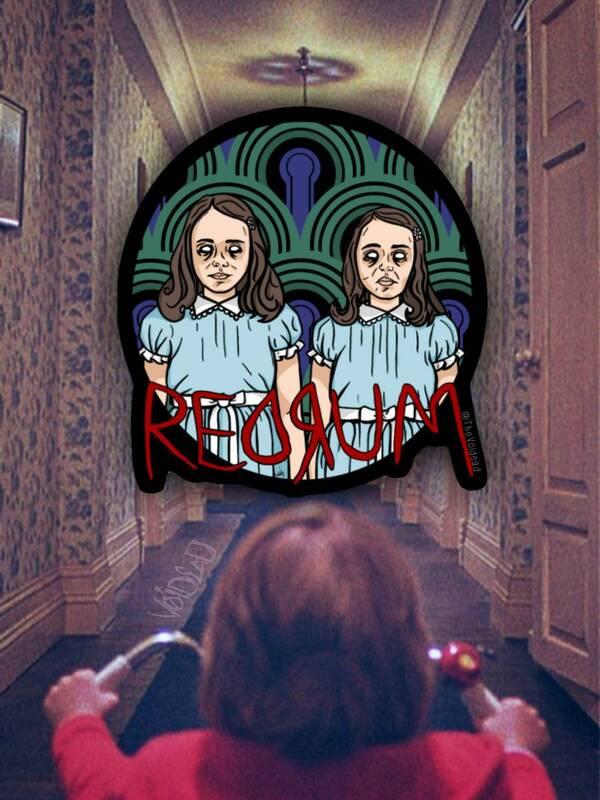 "Come play with us Danny!" Weatherproof and ready to stick! All content and images are the property of ©VOIDEaD 2018. All rights reserved. All characters and artwork drawn are the property of ©VOIDEaD. You may not make changes to these pieces in any way to be sold. They may not be used for logo or commercial use of any kind without permission. No cancellations. Absolutely, NO cancellations on custom work.Do NOT "return to sender" as you will not receive a refund and will also no longer have the items. "Return to sender" does not guarantee that the items will make it back to the sender. Please review shipping times as well. All items are shipped through Etsy and sent via USPS service and come with tracking. Please ALWAYS be aware of the given information for each post and the time frame in which your item will be SHIPPED OUT. Once an item is dropped off the time it takes as well as delays due to the USPS service is out of our hands, but we will make every possible effort to help with any issues. For international orders, this applies as well. Please be awar of the turn around time and then allow time for the item to arrive through the international shipping services. Extra time is taken as there are customs as well as the distance and sometimes delays the shipping services may have. Please take this into account before leaving reviews. No refunds unless item is grossly misinterpreted. Once an item has been processed the order can NOT be canceled. Do NOT "return to sender" as you will not receive a refund and will also no longer have the items. "Return to sender" does not guarantee that the items will make it back to the sender. Please review shipping times as well.